Today I have a special post for you all. 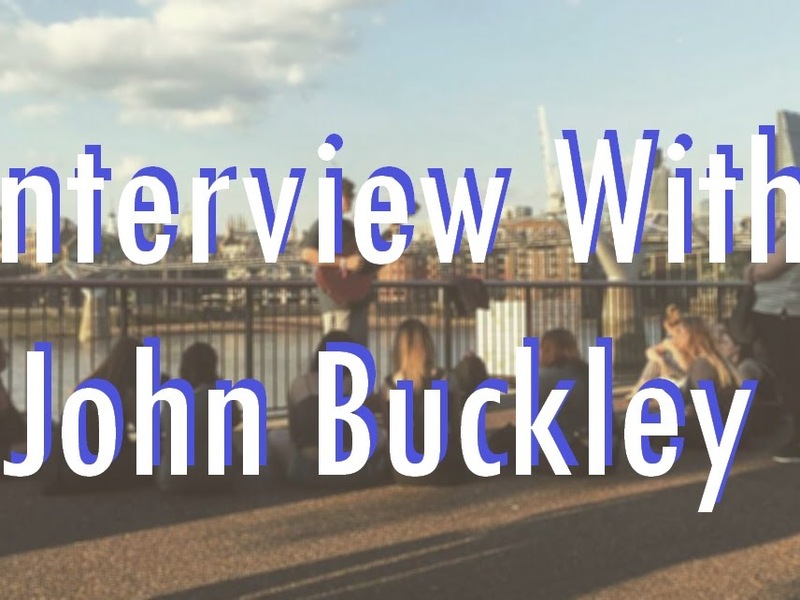 Recently, John Buckley has caused quite the stir on Facebook with this original songs that he's always bringing out. He has a real acoustic voice that match perfectly with all of his work, I can see him snapping up a place in the industry very soon. 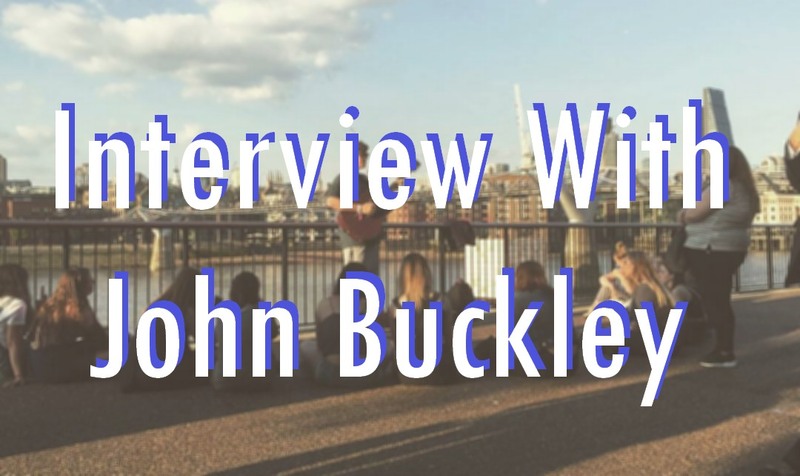 I'm not going to go on any further because this interview has all you need to know about John Buckley in it already! My names John! I'm a Cornish boy, and before this year, was very much happy with the countryside life whilst playing open mics in small pubs and busking on the harbour. It was only the past 14(ish)months that I decided to put any content of my music online! It was the summer after finishing secondary school and just before college to be precise. the only platform I really used at the time was Facebook and it very much started out by family and friends liking and supporting, then all of a sudden some videos started getting more exposure than I ever thought could happen! It genuinely freaked me out at first and it almost stopped me doing it because of that, but am now very glad I didn’t! After getting more of a social presence, that’s when my manager recognised my music, he then came to Cornwall to meet me and invited me to London to record/write a few originals in the studio. I travelled up every weekend whilst still in the start of my first year in college, I then started uploading my music to BBC Introducing and then BBC Introducing passed some tracks off to Radio 1 and have now had a play on the Huw Stevens show! It's all been quite an organic process so far and everything seems to be on the up right now so its all very exciting, I've adapted to the London life and enjoying every second. Right now I'm staying with my older sister who luckily lives in London. Around the age of 15 I started to enjoy open mics in the pub and busking around Cornwall, it's only this summer I've started to play proper festivals and academy shows, I'm lucky enough to be playing at the 02 Bieber show in the VIP lounge. (on the 28th/29th Nov!) And have recently supported a band called Lawson, when my album comes out you can definitely expect my own small headline tour! Its all very exciting. I listen to a lot of singer songwriters, such as Matt Corby, Lewis Watson, Jeff Buckley (unfortunately were not related), Paolo Nutini, Ed Sheeran, Daughter, Bon Iver and many, many more! You’re always carrying around your guitar, can you play any other musical instruments? The piano a tiny bit! But besides that I'm afraid its just the guitar. We’ll hopefully be getting an album off of you soon. What can we expect from you on it? Yes! Slowly but surely coming together, its all very organic and conversational but definitely a nice mix of some happier to sadder songs, upbeat to slower. Every track is very real and all about personal experience, some ranging from my travels to London, experiences at festivals, events that have happened in a night, and some talking about feelings towards certain people. and many more! I'm so excited to share it with the world. VEVO has recently released your music video of Festival, what was your favourite moment to film in the video? means I can just get drink and have fun whilst a guy with a camera follows me around! My favourite part captured has to be me walking out of the performance and doing an unplugged acoustic set on the grass in a quiet part of the festival, I find this part beautiful because it was completely unplanned, my stage time at Boardmasters changed a couple of times and a few people who came to watch me turned up just after I was finished, so I decided id play them a few songs unplugged. BBC Introducing have recently spotted you, do you think that you can work your way up to performing on BBC Radio? I was lucky enough to get a play on Radio 1 from Introducing Cornwall passing it on, but I do really hope the momentum can stay behind me and more things like this can happen! BBC Cornwall support me so much, couldn't be more grateful for them! Gonna just keep writing and playing and hope for the best! You supported Lawson last month in Islington, how did that come about? Luckily my manager knows a connection to them somehow! The audience was amazing, and the guys from Lawson were so nice, would love to perform with them again. Did the lads from Lawson give you any useful advice? Not advice as such! But was having a great chat with all the lads, and it was definitely helpful to watch artists such as them who are so seasoned, I love watching artist like Lawson love to gain tips and tricks. You’ve caused quite the stir on Facebook in the past year, how do you feel about the support that keeps on growing? It feels great! It was so crazy to take in at first, and I hope that support does keep on growing for the next year! I was always nervous before introducing originals after only posting covers for so long, since not knowing how people would respond to something different, but the reaction to my originals on Facebook, Spotify, iTunes etc has been incredible, feels so amazing when so many people enjoys something that you've put your heart into writing. Download his latest single, Festival on iTunes now. Photo Credits to John Buckley's Facebook.